A recent report by the SMF indicates that between 2012/13 and 2014/15, university dropout rates rose from 5.7 per cent to 6.3 per cent. In fact, dropout rates have been following an upwards trajectory for years now. In 2012, 37 per cent to 42 per cent of students considered abandoning their studies for one reason or another, according to a survey by What Works?. Higher education experts agree that action must be taken to curb the amount of students dropping out of university, and that to achieve this, more needs to be done to encourage inclusivity and student wellbeing on campus. Social media might not seem like the most typical platform for academia, but with the average 16-24 year old spending around two hours 26 minutes on social media every day, it seems only logical for universities to use this medium to communicate with their student body - not only on an academic, but a personal level. It’s not only those who grew up with social media who are using it to communicate with their institutions: alumni and other stakeholders like staff and parents are using it to stay connected. So, in a world of seemingly infinite content, how can institutions add value to the university experience through their social channels, without overloading students with unnecessary reading material? Open up dialogues with students and provide a safe platform for them to debate, learn, and share their experiences - positive or negative. Getting students who have overcome hurdles to share their stories through video is an effective way of letting others know they are not alone, and that support is available should they need it. 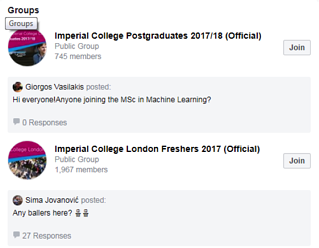 Facebook groups allow students to meet other course mates before starting and get support from their peers. Success stories, like this one from the University of Michigan, help to inspire followers. Generating content that is relevant to all stages of the student lifecycle is vital when it comes to engagement and retention. Nobody wants to feel excluded or underrepresented on campus and the same goes for online spaces. It is important to encourage applicants with information on open days, and it’s just as important to offer advice to students in the final stages of their education during exam season. Consistency is also key: as with consumer brands, if an institution hasn’t connected with their followers for a month or so, it suggests they have nothing of value to share, rendering them more irrelevant or unauthoritative than other sources. When it comes to social media channels, one size doesn’t fit all. What works well on Facebook won’t translate in the same way on Twitter or Snapchat, for instance. Variety is also key. Think of your channels as multi-tools: you want them to support, to engage, and to educate. As a leading public research institution, Imperial College London uses social media to shout about its successes and findings. Using a management tool like Hootsuite makes scheduling posts across platforms quick and easy. “We feature our research news stories heavily on our social media channels, as they help build a sense of pride amongst students – these posts reinforce to students that they are part of the Imperial community and are contributing to world-changing STEM research”, Jesse explains. 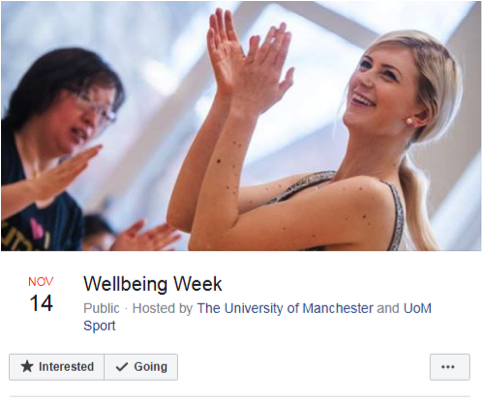 The University of Manchester uses social to ensure their events reach as wide an audience as possible. Never underestimate the power of video when it comes to reach! 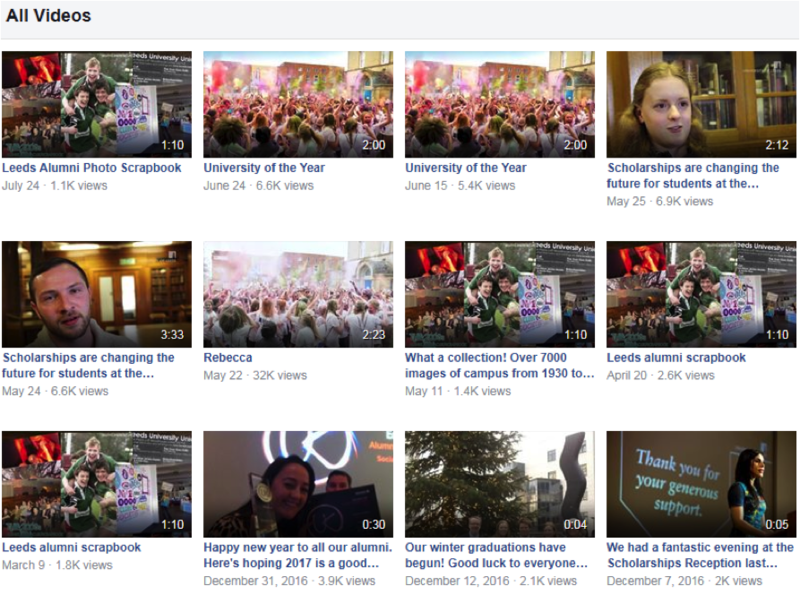 The University of Leeds showcase student stories and celebrations. There’s no hiding from social media: its omnipresence makes it an integral part of our students’ lives. Everyone has their preferences when it comes to methods of learning, and it’s the same with social - people consume content in different ways. Visual people might prefer platforms like Instagram and Pinterest, whereas business postgraduates might interact more with long form copy on Facebook and LinkedIn. Similarly, why stick with one profile? Institutions like the University of Stanford have separate Twitter pages for different departments, each offering their own academic advice and insight. How many social media platforms do you use to communicate? As social media continues to evolve at rapid rates, it’s important for universities to look out for trends and changes, so that they can continue to reach students in relevant and engaging ways. Follow industry experts on Twitter and take inspiration from the type of posts they are sharing with their followers. “Snapchat recently added deep linking to the platform, so we are starting to incorporate our research news onto the channel - finding fun ways to explain the research using images and video, and then linking off to the news story on our website so our followers can read the article in full”, reveals Jesse. Snapchat has also launched an ‘Our Story’ feature that is currently available to students across 100 universities in the UK. Using geofencing technology, Our Story is a collection of snaps submitted by students and aims to provide an insight into university life from different corners of the UK. The feature can be found in Discover on Snapchat. 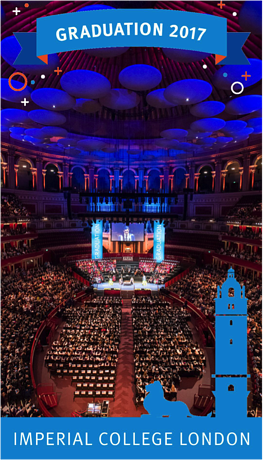 Repurpose ideas like this Snapchat filter from Imperial to ensure that graduation 2018 is a full house! 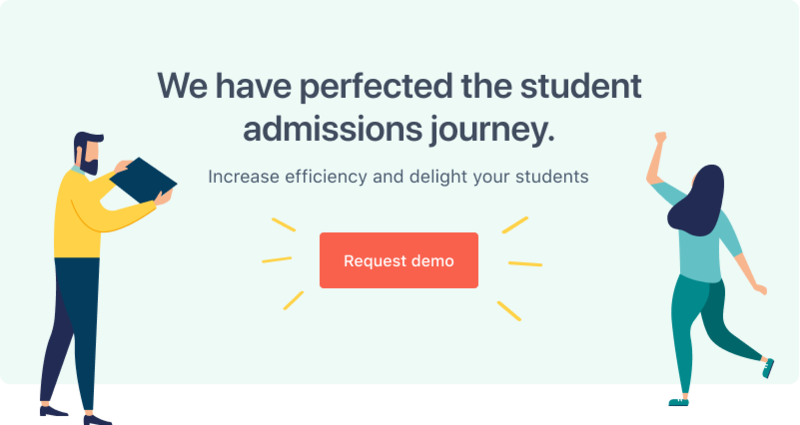 Using a modern higher education CRM alongside social media enables university staff to correspond with their students in a more personalised and relevant way, thus improving retention rates. As well as integrating channels, FULL FABRIC tracks all communications between students and staff.